Regulation (EU) No 1151/2012 has repealed and replaced Council Regulations (EC) No 509/2006 of 20 March 2006 on agricultural products and foodstuffs as traditional specialities guaranteed (2) and (EC) No 510/2006 of 20 March 2006 on the protection of geographical indications and designations of origin for agricultural products and foodstuffs (3). Regulation (EU) No 1151/2012 empowers the Commission to adopt delegated and implementing acts. In order to ensure the smooth functioning of the quality schemes for agricultural products and foodstuffs in the new legal framework, certain rules have to be adopted by means of such acts. The new rules should replace the implementing rules of Regulations (EC) No 509/2006 and (EC) No 510/2006 which were laid down in Commission Regulations (EC) No 1898/2006 of 14 December 2006 laying down detailed rules of implementation of Council Regulation (EC) No 510/2006 on the protection of geographical indications and designations of origin for agricultural products and foodstuffs (4) and (EC) No 1216/2007 of 18 October 2007 laying down detailed rules for the implementation of Council Regulation (EC) No 509/2006 on agricultural products and foodstuffs as traditional specialities guaranteed (5), respectively. In order to take into account the specific character, and in particular the physical and material constraints, of the production of products of animal origin the name of which is registered as a protected designation of origin, derogations with regard to the sourcing of feed should be allowed in the product specification of such products. Those derogations should in no way affect the link between the geographical environment and the specific quality or characteristics of the product essentially or exclusively due to that environment. In order to take into account the specific character of certain products, restrictions with regard to the sourcing of raw materials for protected geographical indications should be allowed in the product specification of such products. Those restrictions should be justified in the light of objective criteria that are in line with the general principles of the scheme of protected geographical indications and that further improve the consistency of the products with the aims of the scheme. In order to ensure that the appropriate information is communicated to the consumer, the Union symbols designed to publicise protected designations of origin, protected geographical indications and traditional specialities guaranteed should be established. In order to ensure that product specifications for traditional specialities guaranteed only provide relevant and succinct information and to avoid excessively voluminous applications for registration or applications for approval of an amendment to a product specification of a traditional speciality guaranteed, a limit to the length of product specifications should be laid down. In order to facilitate the application process, additional rules on national opposition procedures in case of joint applications concerning more than one national territory should be laid down. Since the right to oppose should be guaranteed on the whole Union territory, the obligation to carry out national opposition procedures in all Member States concerned by the joint applications should be provided for. In order to have clear steps in the opposition procedure, it is necessary to specify the procedural obligations of the applicant in case the appropriate consultations following the lodging of a reasoned statement of opposition result in an agreement. In order to facilitate the handling of applications for an amendment to a product specification, complementing rules concerning the scrutiny of the amendment applications and concerning the submission and assessment of minor amendments should be laid down. Because of their emergency nature, temporary amendments should be exempted from the standard procedure and should not be subject to formal approval by the Commission. However, the Commission should be kept fully informed about the content and the justifications of such amendments. In order to ensure that all parties have the opportunity to defend their rights and legitimate interests, complementing rules regarding the cancellation process should be laid down. The cancellation process should be aligned to the standard procedure for registration laid down in Articles 49 to 52 of Regulation (EU) No 1151/2012. It should also be clarified that Member States are among the legal persons that may have a legitimate interest in submitting a request for cancellation under the first subparagraph of Article 54(1) of that Regulation. 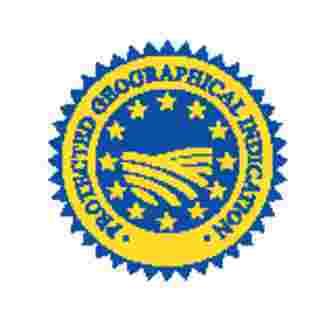 In order to protect the legitimate interests of producers or stakeholders concerned, it should still be possible that single documents concerning protected designations of origin and protected geographical indications registered prior to 31 March 2006 and for which a single document has not been published, are published upon request of the Member States concerned. 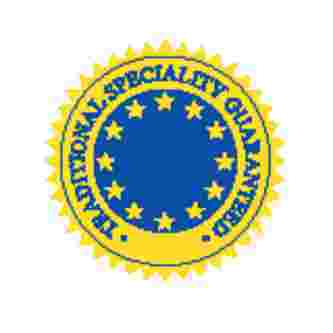 Article 12(3) and the first subparagraph of Article 23(3) of Regulation (EU) No 1151/2012 provide that for products originating in the Union that are marketed under a protected designation of origin, a protected geographical indication or a traditional speciality guaranteed, the Union symbols associated with those products have to appear on the labelling and that the relevant indications or abbreviations may appear on the labelling. The second subparagraph of Article 23(3) provides that the symbol is optional on the labelling of traditional specialities guaranteed produced outside the Union. Those provisions will only be applicable from 4 January 2016. However, Regulations (EC) No 509/2006 and (EC) No 510/2006, which were repealed by Regulation (EU) No 1151/2012, provided for the obligation to place on the labelling of products originating in the Union either the symbol or the complete indication and gave the option to use the indication ‘traditional speciality guaranteed’ on the labelling of traditional specialities guaranteed produced outside the Union. For the sake of continuity between the two repealed Regulations and Regulation (EU) No 1151/2012, the obligation of placing on the labelling of products originating in the Union either the Union symbols or the respective indication and the option to use the indication ‘traditional speciality guaranteed’ on the labelling of traditional specialities guaranteed produced outside the Union should be considered as implicitly set out by Regulation (EU) No 1151/2012 and already applicable. 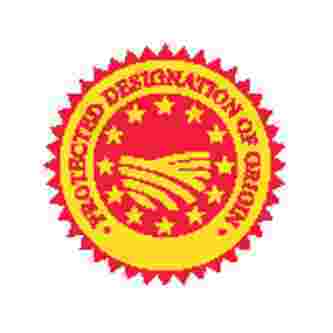 In order to ensure legal certainty and to protect the rights and the legitimate interests of producers or stakeholders concerned, the conditions of use of symbols and indications on the labelling as laid down in Regulations (EC) No 509/2006 and (EC) No 510/2006 should continue to be applied until 3 January 2016. 1. For the purposes of Article 5 of Regulation (EU) No 1151/2012, feed shall be sourced entirely from within the defined geographical area in respect of products of animal origin the name of which is registered as a protected designation of origin. Insofar as sourcing entirely from within the defined geographical area is not technically practicable, feed sourced from outside that area can be added, provided that the product quality or characteristic essentially due to the geographical environment are not affected. Feed sourced from outside the defined geographical area shall in no case exceed 50 % of dry matter on annual basis. 2. Any restrictions to the origin of raw materials provided in the product specification of a product the name of which is registered as a protected geographical indication shall be justified in relation to the link referred to in point (f)(ii) of Article 7(1) of Regulation (EU) No 1151/2012. The Union symbols referred to in Articles 12(2) and 23(2) of Regulation (EU) No 1151/2012 are established as laid down in the Annex to this Regulation. The product specification referred to in Article 19 of Regulation (EU) No 1151/2012 shall be concise and shall not exceed 5 000 words, except in duly justified cases. In case of joint applications as referred to in Article 49(1) of Regulation (EU) No 1151/2012, the related national opposition procedures shall be carried out in all the Member States concerned. When the interested parties reach an agreement following the consultations referred to in Article 51(3) of Regulation (EU) No 1151/2012, the authorities of the Member State or of the third country from which the application was lodged shall notify the Commission of all the factors which enabled that agreement to be reached, including the opinions of the applicant and of the authorities of a Member State or of a third country or other natural and legal persons having lodged an opposition. 1. The application for an amendment to a product specification as referred to in Article 53(1) of Regulation (EU) No 1151/2012 which is not minor shall contain an exhaustive description and the specific reasons for each amendment. The description shall compare in detail, for each amendment, the original product specification and, where relevant, the original single document with the amended version proposed. That application shall be self-sufficient. It shall contain all amendments to the product specification and, where relevant, to the single document for which approval is sought. An application for an amendment which is not minor that does not comply with the first and the second subparagraphs shall not be admissible. The Commission shall inform the applicant if the application is deemed inadmissible. The approval by the Commission of an application for an amendment to a product specification which is not minor shall only cover the amendments as included in the application itself. 2. Applications for a minor amendment to a product specification concerning protected designations of origin or protected geographical indications shall be submitted to the authorities of the Member State the geographical area of the designation or indication relates to. Applications for a minor amendment of a product specification concerning traditional specialities guaranteed shall be submitted to the authorities of the Member State in which the group is established. If the application for a minor amendment of a product specification does not come from the group which had submitted the application for registration of the name or names the product specification refers to, the Member State shall give that group the opportunity to make comments on the application if that group still exists. If the Member State considers that the requirements of Regulation (EU) No 1151/2012 and of the provisions adopted pursuant thereto are met, it may lodge a minor amendment application dossier with the Commission. Applications for a minor amendment to a product specification concerning products originating in third countries may be submitted by a group having a legitimate interest either directly to the Commission or via the authorities of that third country. The application for a minor amendment shall only propose minor amendments in the meaning of Article 53(2) of Regulation (EU) No 1151/2012. It shall describe those minor amendments, provide a summary of the reason an amendment is required and show that the proposed amendments qualify as minor in accordance with Article 53(2) of Regulation (EU) No 1151/2012. It shall compare, for each amendment, the original product specification and, where relevant, the original single document with the amended version proposed. The application shall be self-sufficient and shall contain all amendments to the product specification and, where relevant, to the single document for which approval is sought. Minor amendments referred to in the second subparagraph of Article 53(2) of Regulation (EU) No 1151/2012 shall be deemed approved if the Commission does not inform the applicant otherwise within three months from the reception of the application. An application for a minor amendment that does not comply with the second subparagraph of this paragraph shall not be admissible. Tacit approval referred to in the third subparagraph of this paragraph shall not apply to such applications. The Commission shall inform the applicant if the application is deemed inadmissible within three months from the reception of the application. The Commission shall make public the approved minor amendment to a product specification not implying a modification of the elements referred to in Article 50(2) of Regulation (EU) No 1151/2012. 3. The procedure laid down in Articles 49 to 52 of Regulation (EU) No 1151/2012 shall not apply to amendments concerning a temporary change in the product specification resulting from the imposition of obligatory sanitary and phytosanitary measures by the public authorities or linked to natural disasters or adverse weather conditions formally recognised by the competent authorities. Those amendments shall be communicated to the Commission together with the reasons for them not later than two weeks following approval. Temporary amendments to a product specification concerning protected designations of origin or protected geographical indications shall be communicated to the Commission by the authorities of the Member State the geographical area of the designation or indication relates to. Temporary amendments to a product specification concerning traditional specialities guaranteed shall be communicated to the Commission by the authorities of the Member State in which the group is established. Temporary amendments concerning products originating in third countries shall be communicated to the Commission either by a group having a legitimate interest or by the authorities of that third country. Member States shall publish temporary amendments to the product specification. In communications concerning a temporary amendment to a product specification relating to a protected designation of origin or a protected geographical indication, Member States shall only enclose the reference to the publication. In communications concerning a temporary amendment to a product specification relating to a traditional speciality guaranteed, they shall enclose the temporary amendment to the product specification as published. In communications concerning products originating in third countries the approved temporary amendments to the product specification shall be sent to the Commission.. Evidence of the sanitary and phytosanitary measures and a copy of the act recognising natural disasters or adverse weather conditions shall be provided in all communications for temporary amendments from Member States and third countries. The Commission shall make public such amendments. 1. The procedure laid down in Articles 49 to 52 of Regulation (EU) No 1151/2012 shall apply mutatis mutandis to the cancellation of a registration as referred to in the first and second subparagraphs of Article 54(1) of that Regulation. 2. Member States shall be allowed to submit a request for cancellation on their own initiative pursuant to the first subparagraph of Article 54(1) of Regulation (EU) No 1151/2012. 3. The request for cancellation shall be made public pursuant to the second paragraph of Article 50(1) of Regulation (EU) No 1151/2012. 4. Reasoned statements of opposition as regards cancellation shall be admissible only if they show continued commercial reliance by an interested person on the registered name. 1. In respect of protected designations of origin and protected geographical indications registered prior to 31 March 2006, the Commission shall, at the request of a Member State, publish a single document submitted by that Member State in the Official Journal of the European Union. That publication shall be accompanied by the reference of publication of the product specification. for products which are produced outside the Union, the indication referred to in Article 23(3) of Regulation (EU) No 1151/2012 shall be optional on the labelling of traditional specialities guaranteed. Regulations (EC) No 1898/2006 and (EC) No 1216/2007 are repealed. Article 5 shall only apply to opposition procedures for which the three-month period established in the first subparagraph of Article 51(1) of Regulation (EU) No 1151/2012 has not expired on the date of entry into force of this Regulation.